It can be quite challenging to figure out where to go to college but two local high school seniors are sharing their advice on how to navigate the process. (WXYZ) — It can be quite challenging to figure out where to go to college but two local high school seniors are sharing their advice on how to navigate the process. Lauryn Humphreys, a senior at Saline High School, and Ali Houmani, a senior at Ann Arbor Pioneer, helped write "iAware Becoming Self-Aware and College Bound." “The college application process from my perspective is often looked at as stressful and that it’s a hard time for people in high school, but I don't really think that it needs to be that way,” Humphrey's said. She and Houmani are heading to college in the fall. She contributed to the book in many ways, including “interviewing different college students about what their process was (choosing) a college, what they wished they would have done and then also documented what I was going through when I applied and my decision making process as well." Humphrey's and Houmani wrote the book with Dr. Robert Pasick. He’s a psychologist and also a lecturer at the University of Michigan. The two students had completed an internship with him. “I was amazed at how well they wrote,” Dr. Pasick said. 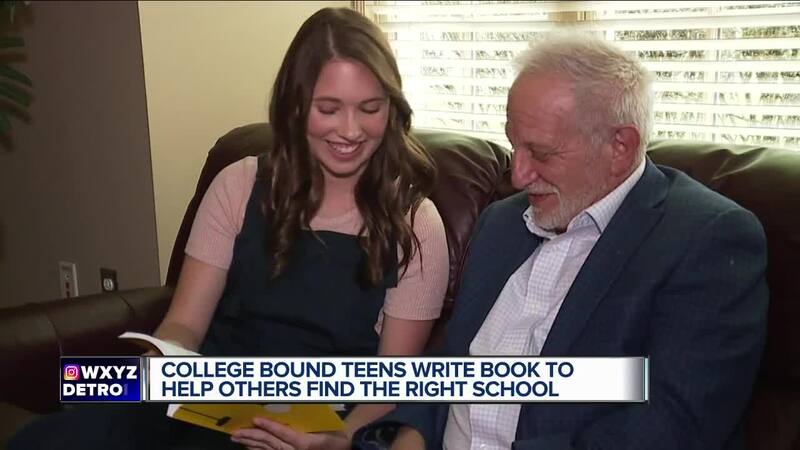 He says the book is based on a previous book of his, but this one is all about helping high school students through what can be a stressful time. The book also takes kids through 12 different exercises and there’s a journal at the end. He says it also helps teens work through the college application process. Dr. Pasick says he hopes the book serves as a reminder not to get caught up on one school and for parents, remember the choice is about the student. “That's one thin,g for the parents to relax and for the kids to feel confident they don't have to hit it out of the park to do well," he said. "They’re going to end up in the school that's right for them." Humphreys says there’s no perfect path to college. “It's what you make it and the work you put into it is what you're going to get out of it,” she said. If you’re interested in the book,click here .